January Fix-It-Fair | Saturday, January 19, 1-4pm, Second Use Building Materials, 2328 Fawcett Ave | Fix-it Fairs are free, community-based events where you can get items repaired for free. Fixable items include jewelry, crockery, clothing, small appliances, furniture, toys and electronics. MLK Day Celebration and Community Fair | Monday, January 21 27, 10am-1pm, Greater Tacoma Convention Center, 1500 Commerce | The 31th Annual Dr. Martin Luther King, Jr. (MLK) Birthday Celebration in Tacoma will once again bring the community together to celebrate Monday, January 21, 2019, as a day on, not a day off. The free event kicks off with a community outreach fair from 10-11 a.m. and the main MLK Celebration event will start at 11 a.m.
Tacoma Creates Community Conversation | Wednesday, January 23, 6-8pm, Theater on the Square, 915 Broadway | Join fellow Tacomans who care about making Tacoma a culturally vibrant and innovative community for an evening of conversations about increasing and improving arts, science, heritage, and culture in our community. Tacoma Green Drinks | Thursday, February 7, 6-9pm, Location TBD | Join this fun and casual networking event where you can catch a different eco-friendly topic at a different bar in Tacoma every month. The February host is the Washington Stormwater Center. Sustainable Tacoma Commission | Meets every 4th Thursday, 4:30PM to 6:30PM, at the Tacoma Municipal Building, 747 Market St. Room 243 | Free and open to the public. EnviroChallengers | The EnviroChallengers bring free, engaging, and high-quality environmental science lessons to public and private schools all around Tacoma. Available for second through eighth grade classrooms. Healthy Homes, Healthy Neighborhoods | Providing resources and opportunities to address big environmental challenges on a small scale, one neighborhood at a time. 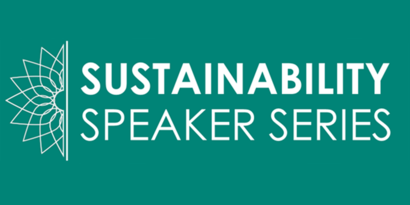 Sustainability Speaker Series | Schedule a member of the OEPS team to present on a variety of sustainability topics for your organization or group. Call (253) 591-5172 to book. Tacoma Green Living Guide | This interactive map features many of Tacoma’s resources and efforts toward more sustainable living. Find information about how to get around, where to find locally grown food, places to enjoy nature in the city, and more. For over a decade, the South Sound Sustainability Expo has been the regional destination event for community members, non-profits, businesses, and government agencies to come together for a day of all-things sustainability! 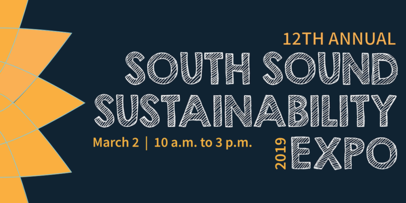 This year, we invite you to join us at the 12th annual South Sound Sustainability Expo on Saturday, March 2 from 10am-3pm at the Greater Tacoma Convention Center. New this year, the Expo will feature a Fix-It-Fair, sponsored by Zero Waste Washington and the Tacoma Tool Library. Bring your broken jewelry, small appliances, toys, or electronics to get fixed by a knowledgeable and experienced community member. The best part about the Fix-It Fair? It’s absolutely free! Connect with over a hundred sustainability-minded vendors and organizations, participate in interactive workshops, and learn more about what you can do to create a more vibrant and sustainable South Sound. Get updates on the 12th Annual South Sound Sustainability Expo by following our Facebook event page. Since the launch of the Sustainability Small Grant program in early 2018, OEPS has been delighted to support 15 projects and programs dedicated to protecting and restoring our environment. Each of our grant recipients has demonstrated long lasting benefits to the community through their projects, and we look forward to seeing what the next year of small grant awardees will accomplish! The 2018 awardees include: Washington Green School’s “Zombie Guacamole” program, which introduced 5th grade students in Tacoma to the cycle of matter and energy in an ecosystem, and food waste prevention strategies; The Sustainability Summit for South Sound Women in Business which brought together 60 women for a day-long conference focusing on the intersection of women in business and sustainability; and the Salishan Children’s Summer Eco-Camp, which was a free, week-long day camp for children ages 5-12. Learn more about the 2018 Small Grant Awardees completed projects here. 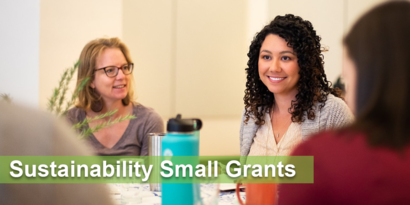 A new round of Sustainability Small Grant applications is now open! If you or your organization has an idea to help educate residents and/or businesses on the environment and sustainable practices, we encourage you to apply. Last year, China banned the import of most paper and plastic for recycling. Much of the material they were receiving was considered unsuitable because it either too difficult (not able to be easily remade into new products) or too dirty to recycle. Recycling markets around the globe are feeling the impacts of the ban and are working to adjust. The increased cost of processing and lower market values make Tacoma’s recycling program more expensive to operate. Tacoma's Solid Waste Management is exploring options to offset increased costs. 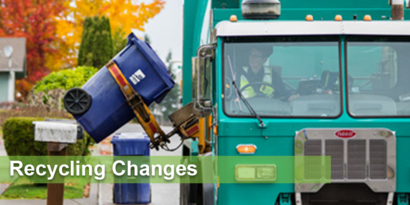 We want to hear from Tacoma residents about our proposed changes. The City is beginning an ambitious community outreach and engagement campaign to gather feedback for the City Council about proposed changes. Please check our website for regular updates on these changes, more information on what is recyclable, and other ways to get involved with the process! What is better than free? Free for life. The benefits of a Grit City tree are free of charge to residents of Tacoma and may very well last for generations to come. 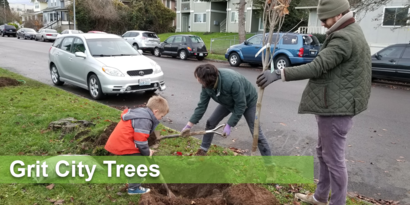 This past year, Tacoma’s Urban Forestry program distributed 433 street trees across the city to 172 recipients. To receive a tree through this community building program, residents submitted an application along with a willingness to plant and take responsibility for the tree after it’s received. Beyond just planting trees, this program really shines by bringing people together. Planting parties in neighborhoods and at schools built community around planting new street trees for everyone to enjoy. Here at OEPS, we hope that your neighborhood can join us next year to help make Tacoma a greener, happier, and healthier city. Stay tuned to the Grit City Trees webpage for updates on next year’s program. Last fall, OEPS welcomed three new AmeriCorps members to our office. As members of the sustainability team, each is responsible for coordinating specific community outreach and environmental education initiatives to help move forward specific programs within OEPS. Abi Vanover is originally from Pennsylvania, and graduated from the University of Delaware with a bachelor’s degree in Energy and Environmental Policy and a bachelor’s in Economics. At OEPS, she leads coordination of the 2019 South Sound Sustainability Expo, and supports a number of other communication programs – from the Bring Your Own Mug campaign to managing the Tacoma Sustainability Facebook page. Arin Lewis also comes to Tacoma from Pennsylvania, and holds a bachelor’s degree in Physical and Environmental Geography with a minor in Sustainability Leadership from Penn State University. Arin works with our Urban Forestry team on the Grit City Trees and Tree Coupon programs. His focus is to help raise awareness about the biology and benefits of trees, and to increase the number of trees planted in Tacoma - working toward the goal of increasing tree canopy cover from approximately 19 percent to 30 percent by 2030. Elizabeth Purington hails from Massachusetts, and recently graduated from Brown University with a major in Biology. Elizabeth works with our Solid Waste team to address the City of Tacoma’s goal of 70% waste diversion by 2028, focusing specifically on food waste - which is the number one material in Tacoma’s waste stream. She engages Tacoma residents through programming like the “Food: Too Good to Waste” challenge and other community and special events. She is also working to develop a food waste reduction challenge for local businesses to be launched in 2019. The Healthy Homes, Healthy Neighborhoods (HHHN) program works to address big challenges on a small scale - one neighborhood at a time. 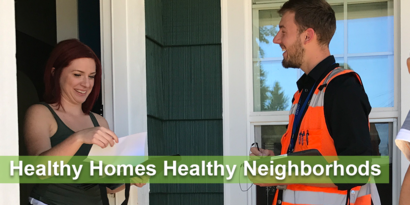 By engaging with community groups and visiting hundreds of local households each year, HHHN works to help Tacoma community members cut everyday costs, improve household health, and make Tacoma a better place to live. Program services span home repairs and improvements, energy and water conservation, trees and gardening, and sustainable transportation and waste reduction. 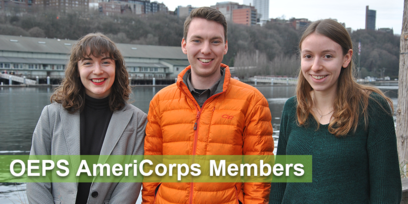 Next month, HHHN is pleased to be welcoming a new AmeriCorps Member to coordinate our 2019 program focused in the Eastside. Still in early planning, the program will engage community members between March and July 2019 about eco-friendly, cost-saving resources available here in Tacoma. Visit our website for more information about Healthy Homes, Healthy Neighborhoods, or email Patrick Babbitt at pbabbitt@cityoftacoma.org. Spring and summer are just around the corner, which means community special events season will be in full swing! In an effort to further the sustainability vision for our community, events of all sizes are encouraged to participate in the City of Tacoma Green Event Program. The Green Event Program ensures that participating community events take extra care to be more sustainable by incorporating green initiatives like providing bike racks, using 30-100% recycled content paper, encouraging proper recycling, donating excess food, and more. 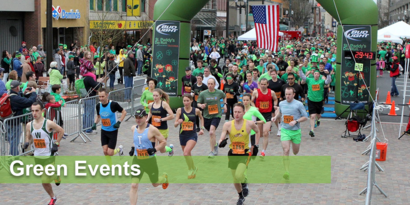 All events within Tacoma city limits may apply for Green Event certification and Environmental Services Event Support for material goods or in-kind services, such as garbage, recycling and portable toilets. If you're planning a community event this year, learn more about the Green Event Program here. Did you know that 72% of coffee purchases in Tacoma involve a single-use cup? Surprising to many, single-use coffee cups (paper or styrofoam) are not recyclable in most municipalities, including Tacoma (due to a thin plastic layer on the inside in the case of paper cups). In response, OEPS partnered with 16 local coffee shops in October 2018 to reduce waste from single-use coffee cups. Participating shops agreed to adjust their business practices to cut waste on their side, and offered a discount to customers who brought their own mug. 64% of participating shops reported an increase in customers bringing their own mug, and one shop reported a spike in reusable mug use by 65%. We encourage you to lose that "paper flavor" and switch to reusable to save! 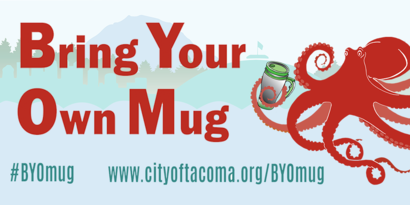 Visit our Bring Your Own Mug page to see local coffee shops with “BYOM” discounts every day. Know of a shop with a “BYOM” discount? Get them listed on our page by contacting sustainability@cityoftacoma.org. Does your organization or group want to learn more about environmental sustainability? The Sustainability Speaker Series features presentations on topics related to Tacoma's vision of a healthy, vibrant, and environmentally sustainable community. Designed to be viewed online at your own pace, or to be presented by members of OEPS staff at events or group meetings, our topics include Our Changing Climate, Food: Too Good to Waste; Electric Vehicles, Urban Forestry, and more! Schedule by calling (253) 591-5172 or emailing sustainability@cityoftacoma.org.